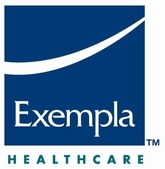 Exempla Healthcare provide a diverse range of health related services, also known as Lutheran medical Center it started in 1905 which evolved as a community center in 1962. Later in 1988 it turned into a nonprofit community health organization and is currently under the president ship of Grant Wicklund. This company has various other health care branches in Colorado. It primarily focuses on providing health care services with the latest technology and modern facilities. The company aims to increase the community health networks in United States to serve and benefit more people. There are currently 0 consumer reviews about Exempla Healthcare available. Share your review. Please take a note that you are about to post a public review about Exempla Healthcare corporate office on CorporateOffice.com. This review will be public, so please do not post any of your personal information on this website. If you would like to contact the corporate offices of Exempla Healthcare, please use their contact information such as their phone number, website, and address listed above to contact them. However, sometimes staff from Exempla Healthcare headquarters do read the reviews on this website.